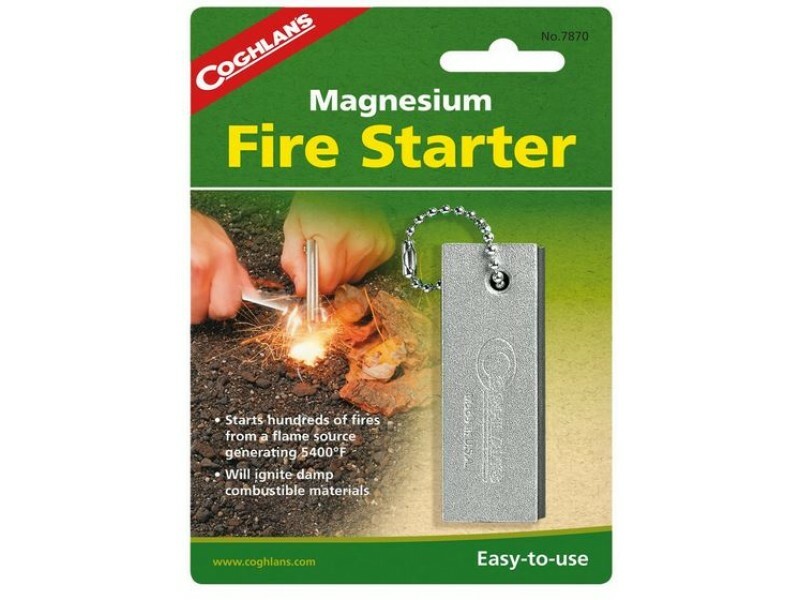 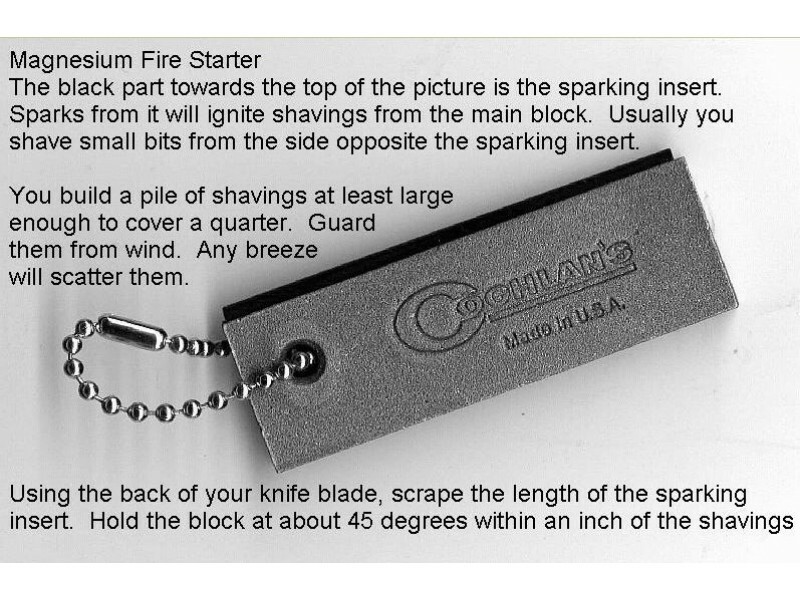 Coghlan's Magnesium Fire Starter will work in any conditions, is unaffected by climate, will never break or fail to do what it is designed for: Ignite! 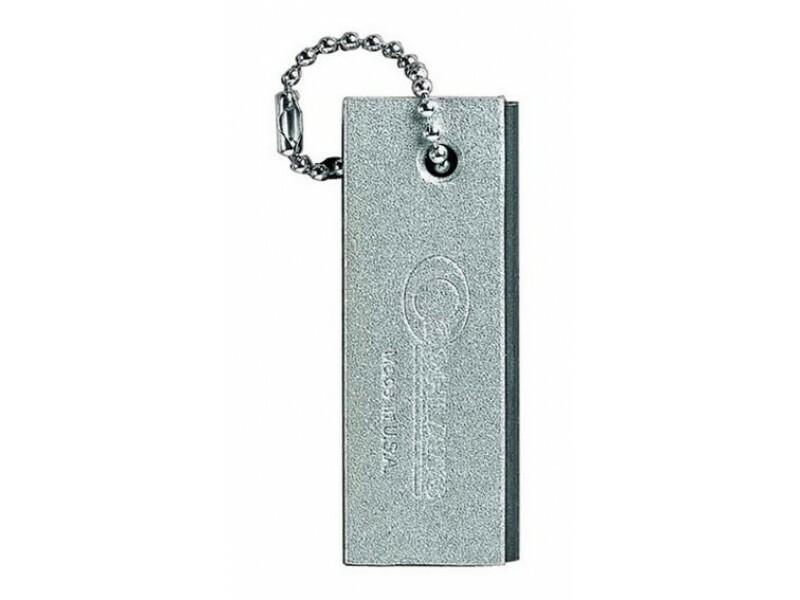 A must for every field trip. 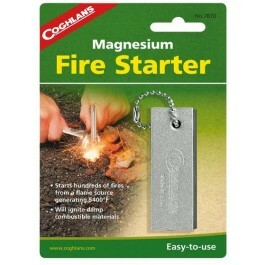 The fire starter uses magnesium, a flame source of 5400°F (2982°C) One fire starter should provide sufficient shavings to start hundreds of fires.